The Centers for Disease Control and Prevention said Friday that reports of airline passengers arriving in the U.S. with influenza should prod people to get vaccinated and avoid travel if they become sick this coming flu season. 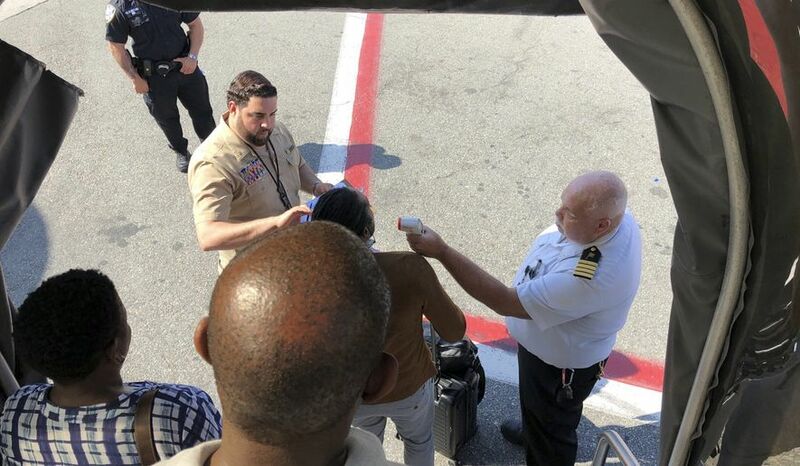 A dozen passengers on two American Airlines flights arrived in Philadelphia on Thursday with flu-like symptoms, one day after a similar situation on a Delta plane from Dubai to New York. CDC spokesman Benjamin Haynes said three of the passengers from Dubai tested positive for flu and/or a separate respiratory illnesses and one person in Philadelphia tested positive for flu. The common thread were influenza A cases among Muslim pilgrims returning from the Hajj in Mecca, he said. The CDC said it hopes the reports compel everyone six months and older to get the seasonal flu shot, preferably by the end of October.